I thought this all looked a bit familier. Turns out I’ve been down this road a couple of times before. 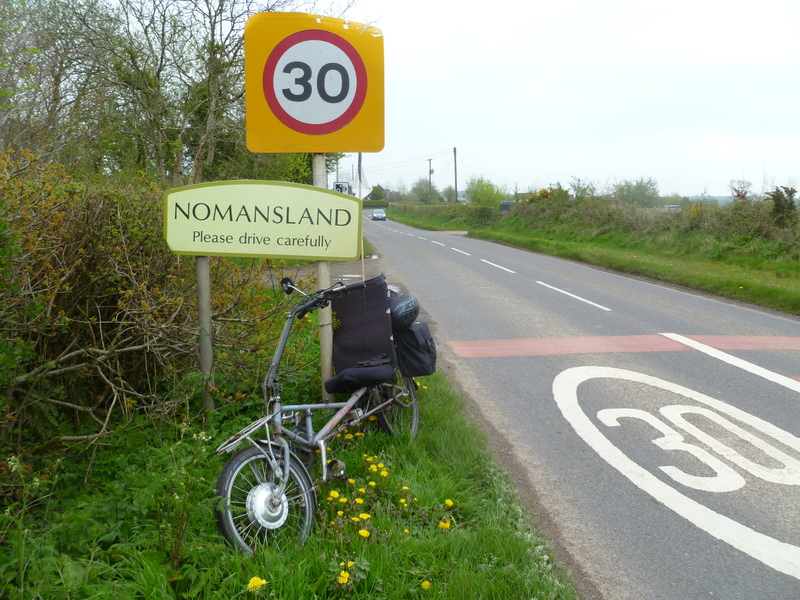 One time I remember passing through with the band and trying to get them to stop at the pub in Nomansland so we could go in and sing them our song ‘No mans Land’ but for some reason both John and Hugh thought this was a stupid idea! Another time I stopped in Witheridge, where I’m now staying in the Mitre Inn (not sure what to report yet), in order to pick up a toffee crisp during one of our Electric Bike enthusiasts jaunts round Exmoor – 115 miles of rather challenging terrain made all the more scarey by Mr Ching the ezee bike importer insisting on riding in the middle of the road even at night. 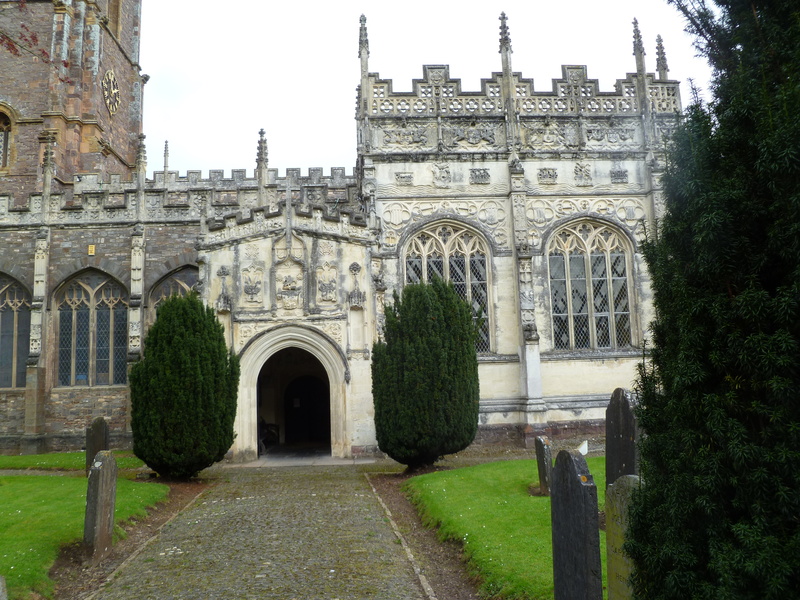 The majority of my ride from Bridgenorth despite a really bad B&B breakfast has been really pleasant and has included big lumps of the Tiverton canal and even a look at Tiverton church? Cathedral? Anyway it seemed a safe place to park the bike.